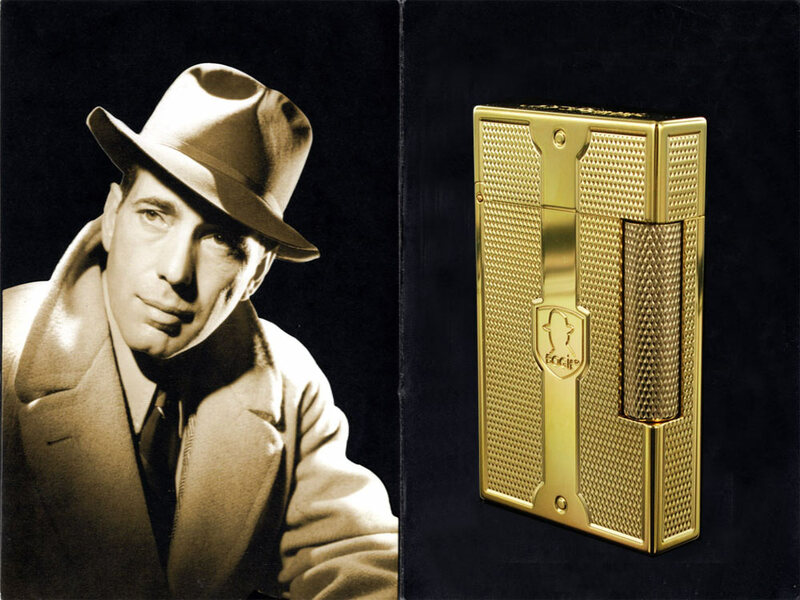 ST Dupont has released a new and impressive limited edition lighter in honour of the world famous Hollywood actor, Humphrey Bogart. Well known for his spectacular appearance in Casablanca, Bogart reached immediate success, and with time, has become one of the most important cinema icons in the world! This new lighter is indeed a homage to this great actor. Bogart’s own classy style is printed into this spectacular item. It is completely gold-plated and has a texture which reminds of wool fabric. On the front is a silhouette of our dear Bogie, and the back of the lighter presents his own signature! This truly classic lighter is a ligne 2 model, so it comes with the characteristic ST Dupont “ping”. The beautiful presentation box has a large image of Humphrey Bogart in the interior. This lighter is available for a great price at Iguana Sell. Get one now!